Hobbies and interests describe the personality of a human being. 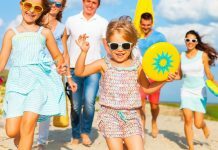 When classified based on interests, there are essentially two types of people – the ones who prefer sedentary activities that do not require much physical activity and the others who just have to hit the outdoors and expend their calories. In this direction, one of the outdoor recreational activities that people, especially in the West have taken to is camping. It is an activity that emerged only recently, in the 20th century. National parks are favorite spots among camping hounds. Due to its growing popularity, many private campgrounds have come up that provide thrill at a cost. 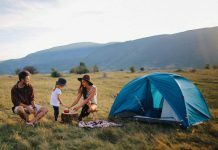 Though there is no rule on when to camp and it can be done any time at the camper’s convenience, most campers venture out during spring and summer seasons. 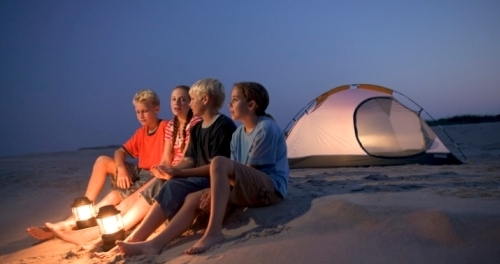 It is simple logic that warm weather makes camping endurable and enjoyable. 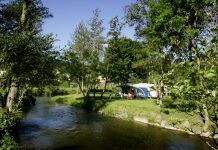 Requirements for camping depend on the type of camping experience you desire. Backpackers or survival campers live in the outdoors with minimal equipment. They carry only the essentials such as basic lighting equipment, basic food and a sleeping bag. They park themselves in the woods or by the water, for a natural experience. However, there are other people who do not like to rough it out. They only like to enjoy the nature and so prefer to do it in the comfort of their RVs (recreational vehicles) or by hiring cabins with all modern amenities in them. Commonly used camping gears are: tents, solar powered cell phones, camp fire equipment, flash lights, multipurpose pocket knives, cooking stoves, all terrain shoes, and extra warm clothing. 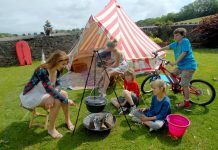 While choosing a campsite, campers look at the activities that the site has to offer. Some of the sites are known for hiking, some for biking and trekking, swimming, kayaking, fishing and so on. National parks have designated trails for such activities and are great fun for adventure lovers. 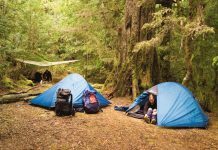 Though this article is a short description about camping, and does not cover everything about it, it is still a new concept explained and useful for new campers who want to get a hang of the activity. So, three cheers to all those who are reading this article and want to try out camping for themselves.